The folks at Woolworths SA have been trying to cover their tracks after they were caught out for not wanting to hire any white staff. Justin Harrison, an internet marketing guru started blogging about the clothes and food chain’s advertising excluding whites last week and now they seem to have started changing the wording of their recruitment adverts. Justin broke the story on social networks when Woolworths SA posted ads on their career site. It said their jobs were only open to African, Coloured and Indian candidates. He says that as a post-apartheid child, he is “neither politically motivated or inspired, however, the increasing blatant racist economic policies that are very clearly exclusive of whites is starting to require a voice and some decisive action”. He feels the whites who are still in South Africa stayed and signed up for a fully inclusive country, and just want to get on with it and build a South Africa that works for everyone. We know that Woolies is not alone in these policies as we have already written on this site about our flying circus – SAA – that excludes whites from its cadet pilot training programme. Since Justin started his online Woolworths SA have changing the advert text to be politically correct. It now says “In accordance with Woolworths’ Employment Equity approach, preference will be given to candidates from designated groups”. But they are scared old fools. They have since barred poor old Justin from leaving any messages on their Facebook Page. They have off course not barred us. We can also stop buying their lousy stuff. Read these interesting lines from Justin’s blog: “I have also noticed that since I posted my update on Twitter yesterday (Saturday 01 September) showing how they changed the ads in a bid to cover up the blatant racist ads, they have as of today (Sunday 02 September 2012) since not only reverted some of the ads back to the original text, but have now added additional wording to state: In accordance with our Marketing EE Requirements, this role is designated for African Black candidates. 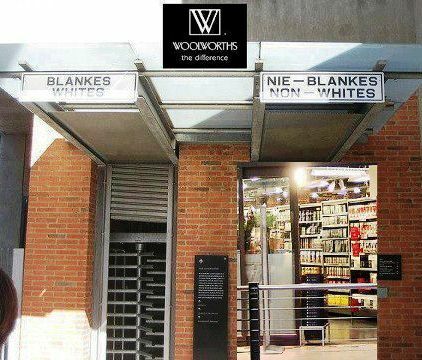 Johannesburg – The Young Communist League (YCL) voiced support on Thursday for retail group Woolworths Holdings [JSE:WHL], which is under fire for allegedly discriminating against whites when filling vacancies. Johannesburg – Labour Minister Mildred Oliphant on Friday lauded retailer Woolworths’ stance on employment equity. “As (the) government of South Africa and those that seek genuine transformation, we shall continue to encourage companies like Woolworths to continue with the transformation and integration of the society,” she said in a statement. Johannesburg – The Black Management Forum (BMF) supports Woolworths’ efforts, it said on Sunday. “We support the employment equity steps taken by Woolworths.” the BMF said in a statement. “Seeking equitable representation is one of the key ways in which South Africa can address economic transformation.” The forum said the constitutional imperative of employment equity was neither racist nor discriminatory. 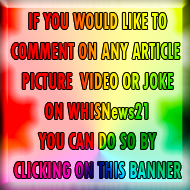 All the above comments and pictures are from South African newspapers and reports directly copied and pasted for your information, but then you all have your own problems too.